The "Replicas" movie poster serves as a decent summation of this review. The more I watch movies and write about them, the more I come to believe that “good” and “bad” don’t matter so much as cause and effect. “Replicas” is, by any reasonable standard, one of the worst theatrical releases of 2019 (and we’re not two weeks in!). Through some strange magic, it managed to bypass its straight-to-streaming fate and sneak into the cinematic cesspool that is January. Even by the pitiful standards of what constitutes a major motion picture in this dumpiest of dump months, “Replicas” is inept and insane — a bargain-basement afterthought, wall-to-wall with atrocious acting, pre-1999 CG effects and howlingly stupid dialogue/plot turns/filmmaking/everything. Yet for all those reasons, I continually found it a joy to watch. 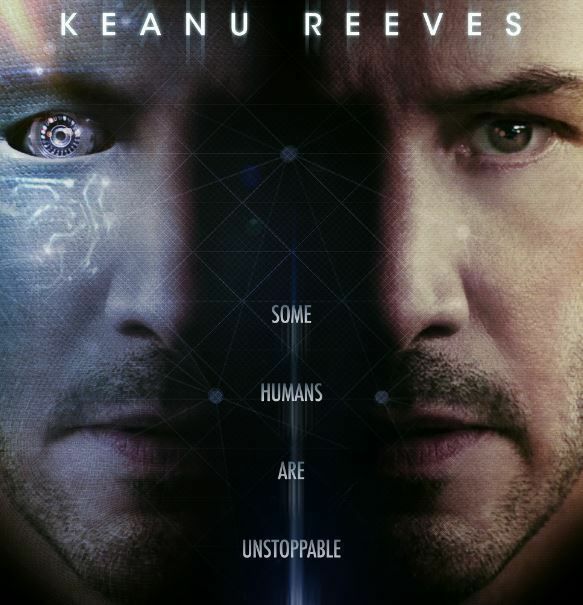 Here’s a movie with clones, robots, the Verizon Wireless guy, evil war-profiteer companies, a tropical setting and, most of all, here’s a movie starring Keanu Reeves as a neuroscientist. The worst thing you can say about any movie is not that it is bad, but that it is fine. The mediocre middle is where most movies live — pop-cultural detritus that is often pleasant enough to watch but never notable enough to remember. When everything goes wrong in a movie, on the other hand, it can offer an experience as rich as everything going right. When a movie intends to be awful, it’s no fun (e.g., “Machete” or “Snakes on a Plane”). But when a movie tries to be good, thinks it’s good and has Keanu Reeves tearfully, earnestly delivering lines like, “I didn’t defy every natural law there is just to lose you again” — when there’s such a deep disconnect between a movie’s intention and its outcome (its cause and effect), well, that’s when the stupid magic happens. In “Replicas,” Reeves plays William Foster, a research scientist for a synthetic bio-tech company with vague (i.e., nefarious) intentions. In various trials, the uploaded digital minds don’t take well to their new robo-bodies, ripping themselves apart in a destructive display of existential terror. Foster’s search for eternal life isn’t going well. But then his entire family dies in a car accident: his wife, Mona (Alice Eve), and their three children. Keanu (let’s just refer to him as Keanu from here on) enlists the help of his colleague (Verizon spokesman Thomas Middleditch) to scan his family’s brains, make replacement clones of them and erase their memories of dying in a car crash. Keanu succeeds. But then things start to go horribly wrong. The “Frankenstein” plot is padded with the doings of a side-villain: Keanu’s boss (John Ortiz, doing line delivery so wooden, his performance constitutes a whole forest). “Replicas” feels like the kind of mid-to-late-’90s sci-fi trash that used to be more common at the multiplex but has since found a home on Netflix or iTunes’ new and noteworthy section. That something this shoddy, odd and dumb made it to theaters in 2019 is a little miracle for which we should all be grateful in these difficult times. See Keanu wear a “Tron” helmet and swipe through a holographic “Minority Report” interface while spouting thick, scientific jargon in that unshakable surfer’s accent of his. See the small, still-in-development clone of Keanu’s wife slap her tiny hand against the glass of her Petri pod as the horror-movie music cue blares. See Keanu shoot a massive needle into his eye in a bathroom stall so he can scan his brain. See a CG robot with the voice of Keanu Reeves engage in heartfelt dialogue with the actual Keanu Reeves. “Replicas” is the kind of movie that prompts the question: How did this get made? The answer appears to be: by a lot of production companies each contributing just a little money to the film’s already modest budget. Seven companies produced “Replicas,” some from China or India. The film is a product not of the studio system — which typically filters out such sweet-smelling turds. It’s an example of the piecemeal international assembly of how many movies are now made, a process that allows for such a film as “Replicas” to exist. With seemingly no one particular person in charge of taste, standards or quality control, Keanu and his collection of artists were allowed to give us something so bad it’s beautiful. You can call “Replicas” a lot of things, but you’d never call it fine.